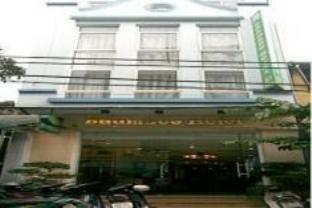 The Sunshine 1 Hotel is perfectly located for both business and leisure guests to Hanoi. The Sunshine 1 Hotel boasts a convenient location with modern amenities in every guestroom and superb service. Each of The Sunshine Hotel - 42 Ma May's guestrooms offers air conditioning, desk, hair dryer, internet access, television. This Hanoi accommodation contains all of the facilities and conveniences you would expect from a hotel in its class. With elegant facilities and hospitality, guests at this hotel will surely have an impressive stay. Make your reservation at the Sunshine 1 Hotel Hanoi now by selecting your chosen dates of stay and submitting our secure online reservation form.